It is 7pm and has been dark for an hour. 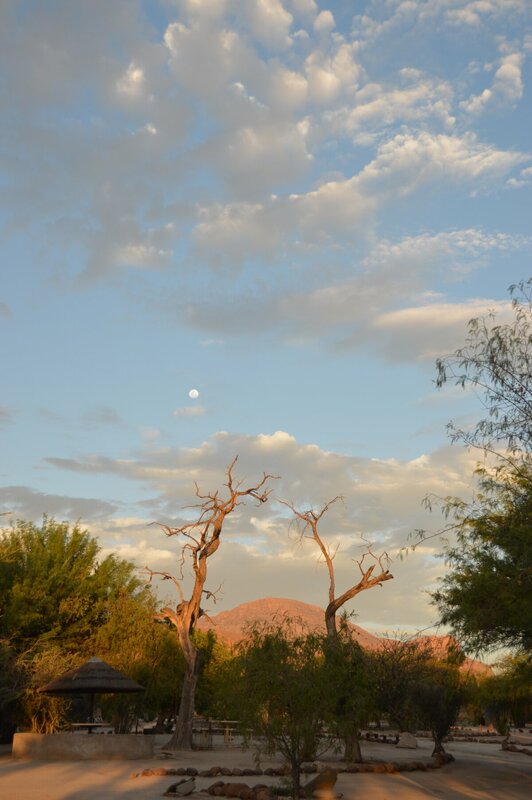 Winter in the Namib is quite pleasant – warm and sunny during the day, and hardly any annoying flies or mosquitoes. This makes a nice change from Togo in the rainy season! We had a week of unusually hot and sunny weather due to east winds on the coast, but at night it can get chilly, especially at the the higher altitudes further inland. In Windhoek the other day I woke with a cold head to find it had dropped to 4 degrees C…tonight its set to drop to TWO!! But we’re back on the road again and its good. 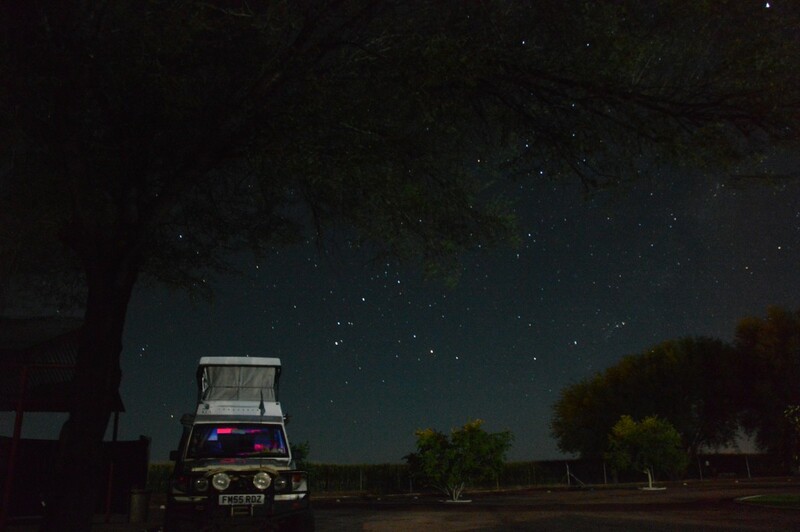 After picking up Troopy from the port in Walvis Bay I spent a few nights in the Namib Naukluft Park before heading slowly to Windhoek to meet up with Agne. 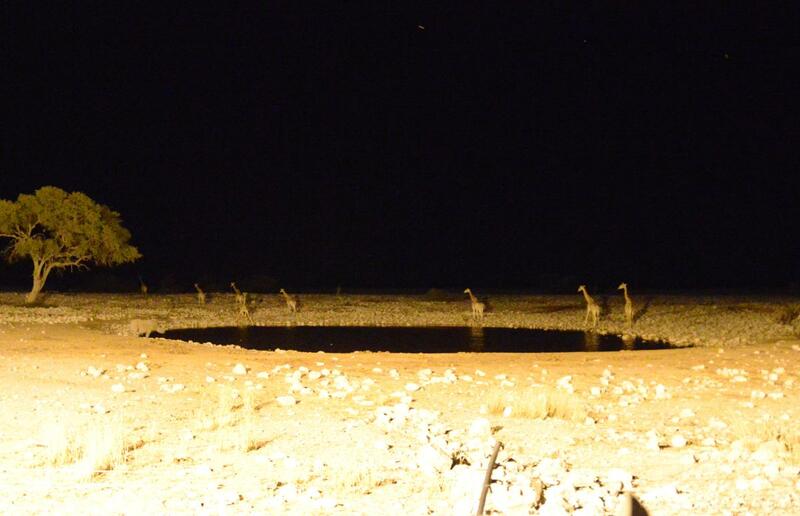 The first night in the wild was just near the spot we camped last time and met the strange but friendly Rock Hyraxes. This time though I took the opportunity to do some more exploring, criss crossing my old trails and spending a night at the most remote campsite in the park. As usual I had the place to myself – camping in a sort of semi-cave of overhanging rock looking out over the Tinkas Plains. 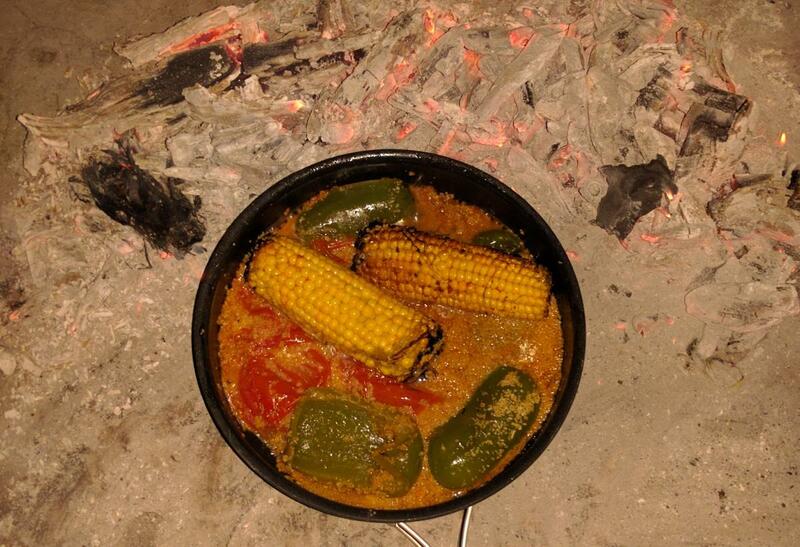 I made a supper of corn and sweet potato on the braii – cooked using recycled wood and charcoal scavenged from old campfires. 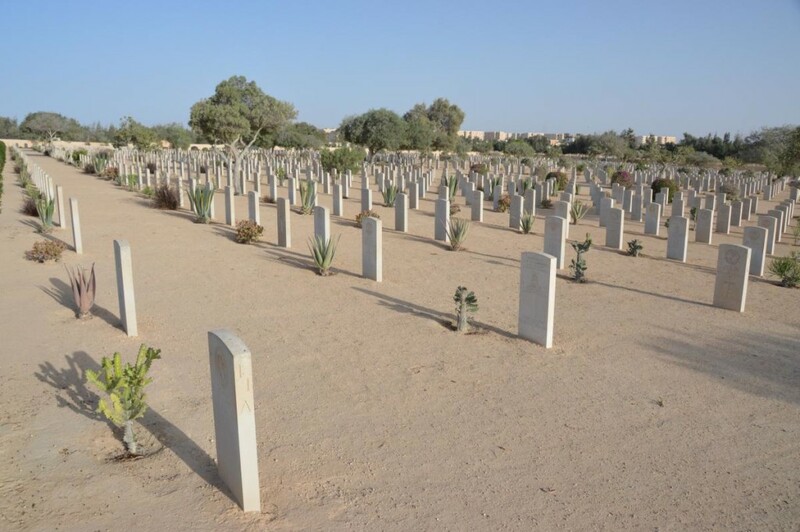 I’m pretty confident there wasn’t another human being within 10 miles, which is a higher level of confidence than at any point on the travels so far – even back in the Mauritanian Sahara. It was strangely relaxing to be out there alone, though the sound of galloping zebra charging around in the night took a bit of getting used to. They seemed to be spooked and I don’t blame them – there were some strange noises out there! If the Rock Arch campsite was basic and wild, the next night was its luxury cousin. 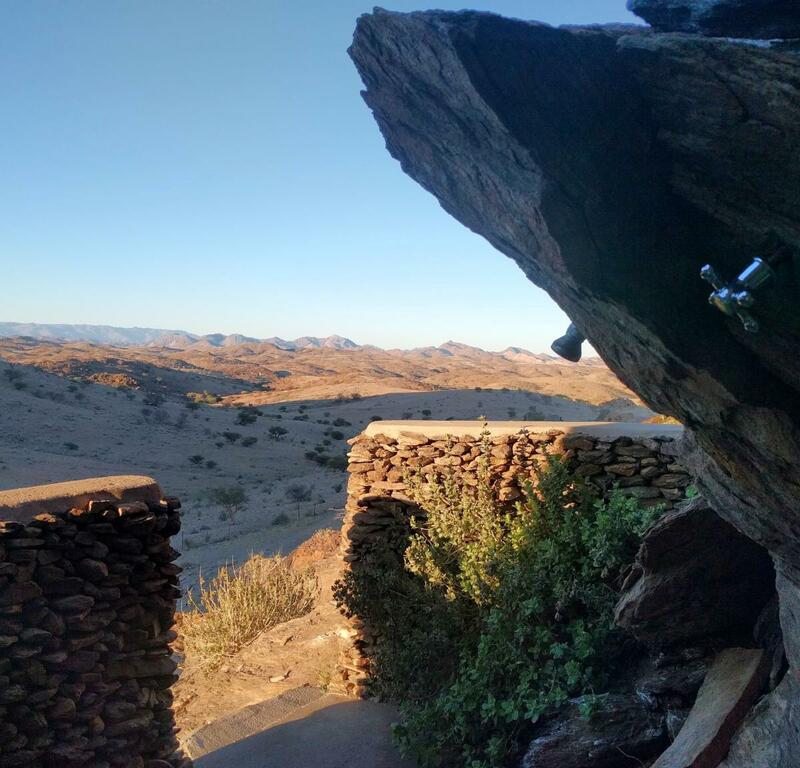 Another overhanging rock to camp under, but this time on a ‘Guest Farm’ with running hot water for the shower – still outdoors of course, with a view across the rocky hills. I have to say though that I preferred the real wilderness, rather than the fenced ‘safe’ version which didn’t seem to have much in the way of wildlife – just a pet Gemsbok and Zebra. My campfire cooking got a bit more adventurous and I came up with a couscous dish that reminded me of the daily vegetable tajine’s from the Moroccan leg. There’s a lot to love about Namibia, but at the same time I’m already feeling a little uncomfortable about some things. History has left its mark in a different way down here than back up North – it is certainly a cleaner and more developed country, but you can’t help but notice the preponderance of white, German-speaking owners of the guest farms and lodges, contrasted with the poorer neighbourhoods of Walvis Bay. Then there was the sign at my campsite asking that we hand any donations of food or clothes for the ’employees’ to the owners for distribution. 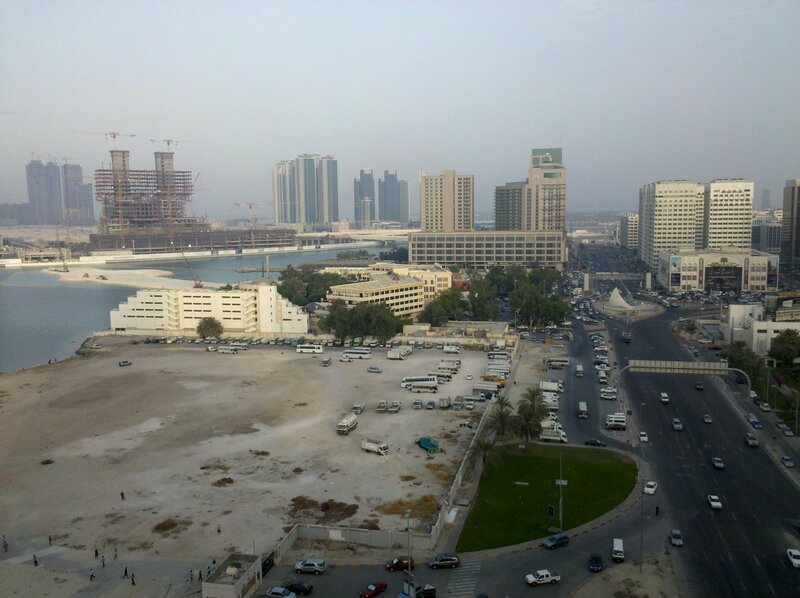 What Namibia does have however, which most of West Africa doesn’t, is tourists and the infrastructure to support them. It is a very easy place to travel, though not perhaps the most vegan-friendly! 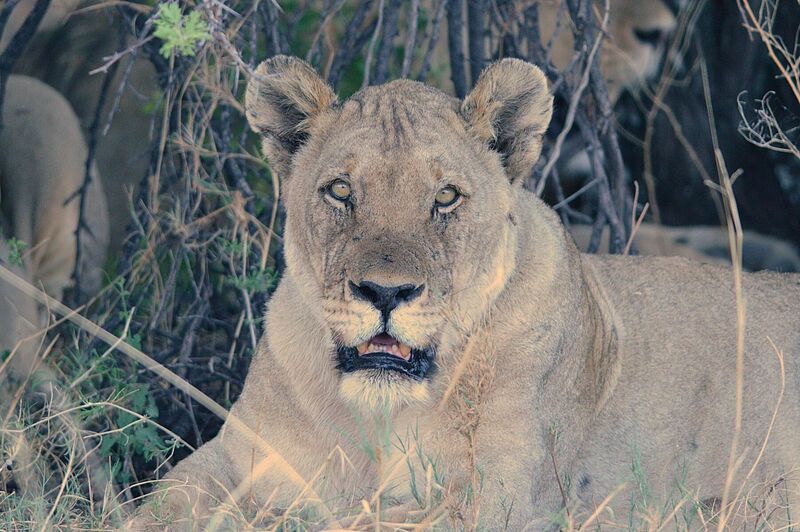 Tomorrow Agne arrives for the leg up to Victoria Falls, so we’ll have more to talk about soon. If I don’t freeze tonight, of course! Today was quite a day, and probably deserved a blog post all itself. It started with a drive through the desert on rough tracks through alternating sunshine and fog banks, followed by a relatively short drive South on gravel roads to the banks of the Orange River. At this point I have to admit to having a little emotional moment – there on the opposite bank was South Africa. The last country. 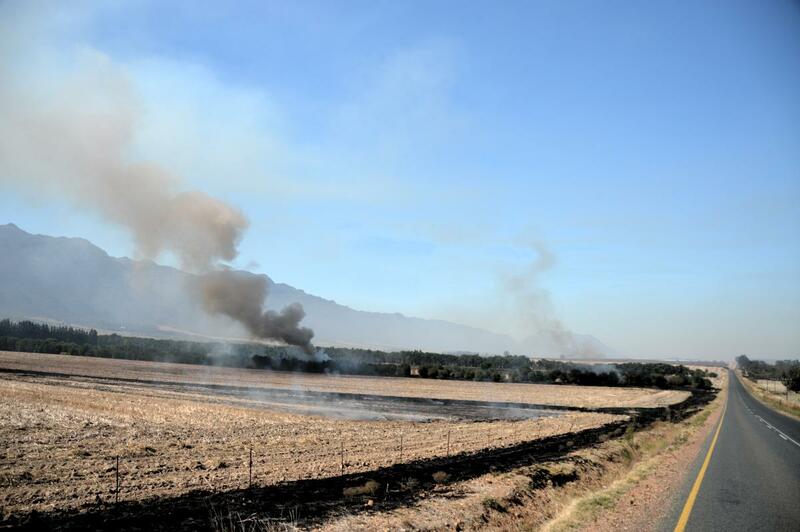 It is not easy to describe or even understand the feelings you get at moments like this – but a little later in the day when I met a lone cyclist, who turned out to be on the last leg of an epic bike ride from Sweden to Cape Town, he also spoke of his mixed feelings on approaching this same border. I’m guessing he’ll be crossing the river tomorrow. If it weren’t for the fact that his intended crossing point was a ferry, motorbikes only (no Landcruisers), I was tempted to head back the same way to talk some more. But as it was, after 20 minutes or so exchanging tales, we set off in opposite directions towards the same place. I am now camping by the Orange River a hundred or two kilometres further South East and will make my final border crossing in the morning. 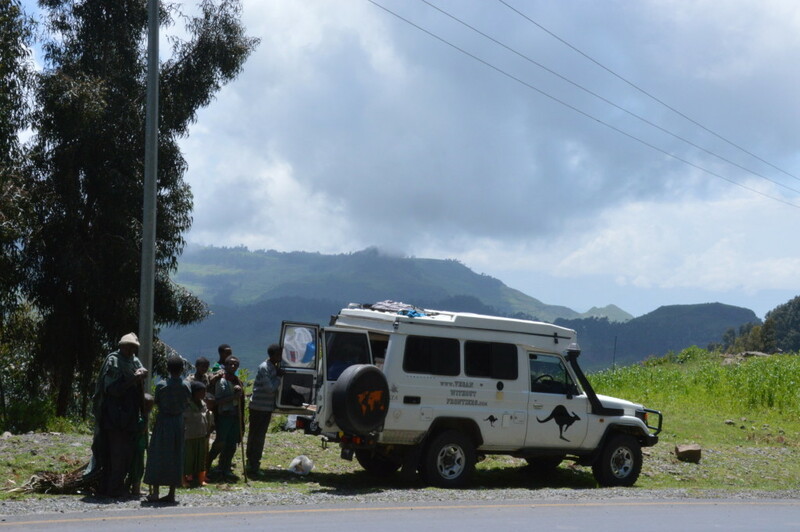 Further up the road towards Fish River Canyon, I met a bunch of nice lasses who stopped and chatted about our travels and being vegan/veggie on the road, and how nice Mozambique is…only a slightly sore point, that. It was good to meet people today – to share experiences, and it also took my mind of the continuing worry of Troopy’s oil leak (I need to top up the rear diff oil before heading off in the morning!). In fact its been a good part of travelling solo – I have been talking to lots of random people. 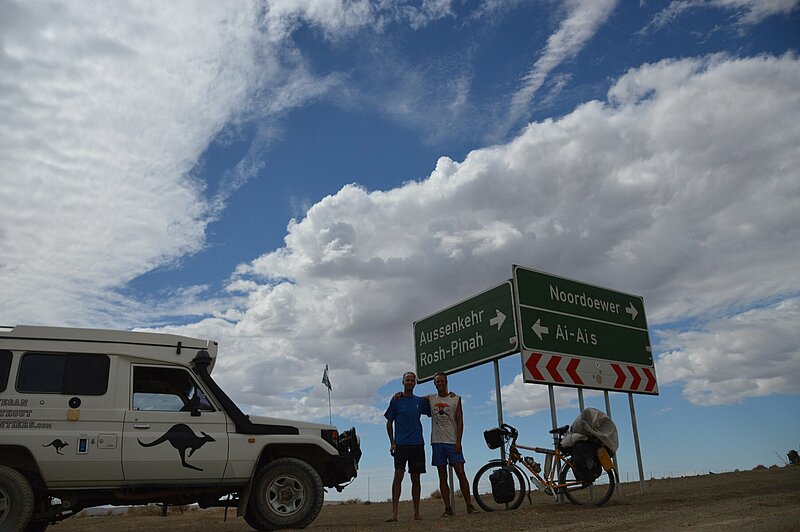 Going back a little – the trip from Mariental to Luderitz was my first crossing of the Fish River, quite wide even that far North, though little more than a trickle between thunderstorms – we are in the land of dust and flash floods here. Then as the landscape gradually changed from fields, to thick scrub, to desert I was pleased to see my favourite variety of antelope – Gemsbok – along with Zebra. By the time I came to the last 120km I was crossing the Southern Namib desert and it was pretty much sand, rock and more sand. I’ve even made a time lapse video of the experience so you can all join in – 2 minutes, rather than an hour and a half sound OK? I’ll post that on youtube HERE! Reaching the Atlantic again was just as cold as last time, though no surprise this time round. Having found the campsite in Luderitz and picked a spot overlooking the harbour a German couple in a Landrover turned up and we shared some G&Ts and tales. I was a little jealous as the next day they were heading up through the dunes to Walvis Bay, a route which we weren’t able to take because a storm had washed the beach away in November. They also made me hungover and running low on gin (well that’s my excuse!). 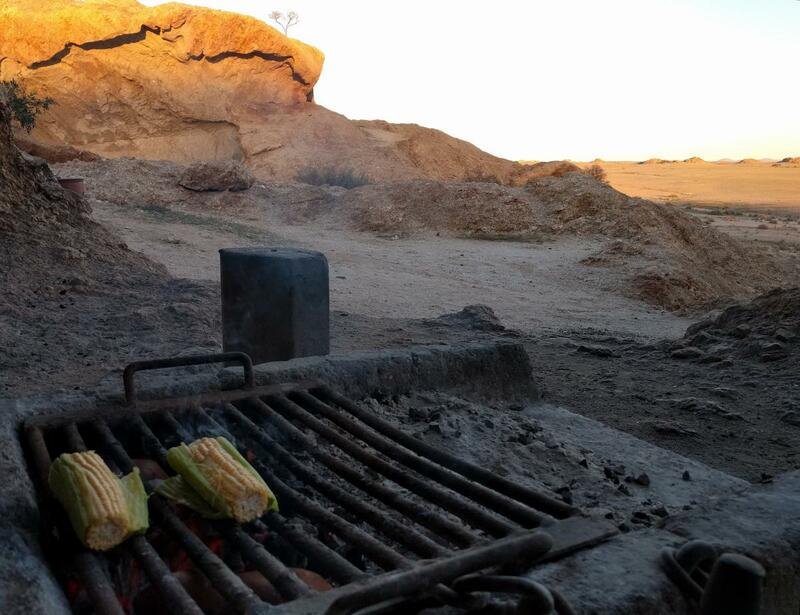 On the upside, they suggested a campsite and a nice route towards Fish River Canyon, and they were spot on – and I found myself camping in an arid wilderness with a swimming pool. That is where I set off from this morning. 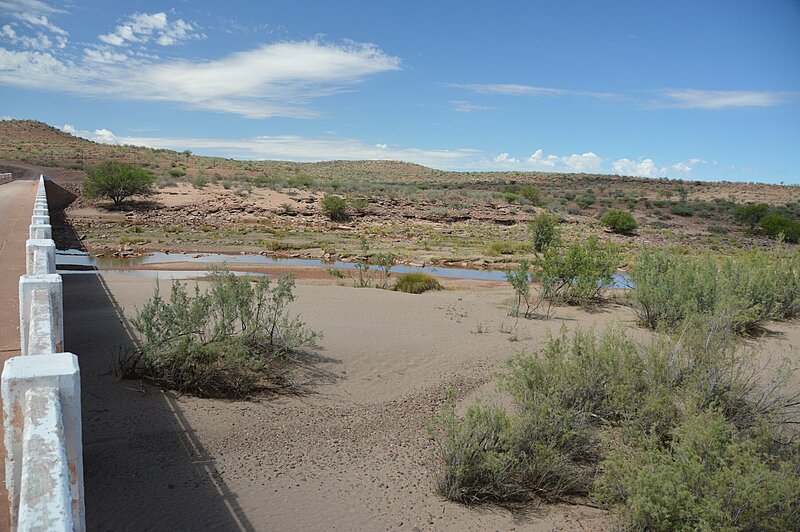 The road along the Orange River was entertaining and picturesque, before the road North towards the canyon struck out straight across another vast, flat gravelly expanse of desert. 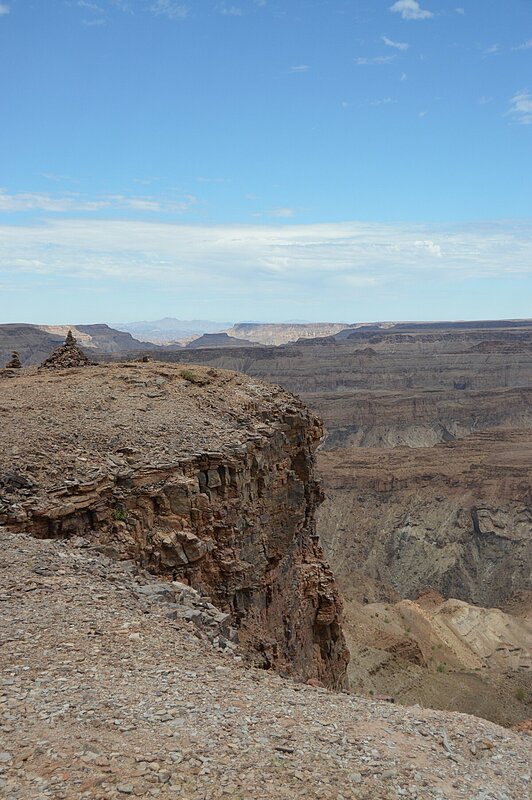 I tried to take photos of Fish River Canyon, but its one of those things you just can’t get the feeling of HUGE scale from unless you are there. The Fish River, but bigger! Its big. Accompanied by thunder and lighting, it was a fair way to sign off Namibia. Tomorrow South Africa, first stop (I hope!) a car parts shop in Springbok! 1. Its dirty in here – we cleaned the inside before we left, but the dust is still everywhere, and obviously on-the-road clean is not the same as London-clean! 2. Its SMALL in here – how did we ever manage to live in such a small space for 6 months? 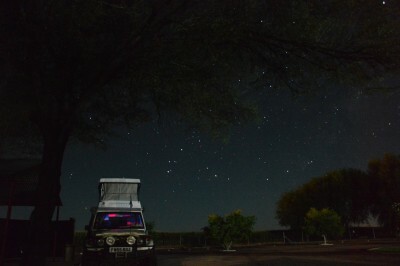 The first night back was spent at the Trans Kalahari Inn – an evening discussing population, farming, and their menu with the owner over some local wheat beers (they are updating the menu to show vegan options now – they used to put cheese in things even though it didn’t say so on the menu). Next morning it was time to head South again, via Windhoek for some stocking up on supplies. You’ll also notice the Map page has changed – I am now using a mobile app to update the location over mobile phone network so I had to get a local SIM for the data. Somehow the satellite tracker went AWOL in the office back in London the day of departure, but this seems to work OK as well (just click on the link to see the map in Google Maps if they haven’t enabled the embedded map yet). So how is it to be back? Its familiar – I took a detour on the dirt roads to take in some sand dunes, and remembered to photograph a Weaver bird nest for my mum. Troopy is also being familiar – the rear left driveshaft is showing signs of oil again, but nothing too bad so far. I’ve given myself a No.3 all over African-weather haircut, and then started to regret it when it got dark and the temperature plummeted! I did experiment with some starlight photography – it was good to see the Southern Cross again showing me which way to go. For breakfast it was the familiar porridge – complete with Katana’s favourite topping of soy sauce. I always preferred jam on mine, but I left that off my shopping list, so soy sauce it was. Sipping coffee while waiting for the wood fire to heat the water for a shower on the veranda of my campsite at Bastion Farmyard was a nice change to the Central Line. This morning I will be heading on South towards Luderitz, but depending on the progress divert towards Fish River Canyon – Luderitz would require a backtrack of a couple of hundred kilometres as there’s only 1 way in or out, and I was never keen on doing the same bit of trail twice! We are back in London, slotting back into the rest of our lives. I haven’t seen Katana in a whole week – which is quite a change after spending 24 hours a day in each other’s company for 6 months. 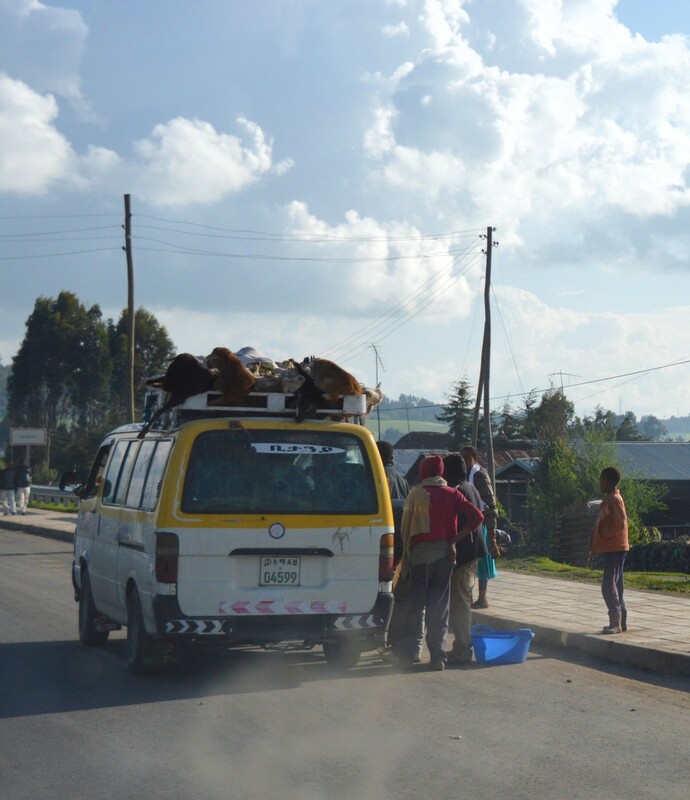 But we are off out for an Ethiopian dinner and a catch-up this evening and hope to be booking our return to Africa soon – there is the small matter of getting to Cape Town to deal with! But first we should wrap up the last part of our journey, having left you in Tsumeb on our way South towards Windhoek. We set off into the Namibian wilds again aiming to find some traces of extremely old wildlife. On the way we passed the Waterburg Plateau, and were almost tempted to stop a night on a private game reserve there, but the campsite pool wasn’t quite enough to stop for since it was only just lunchtime. Instead we carried on, admiring the ever grand scenery from some good gravel roads. 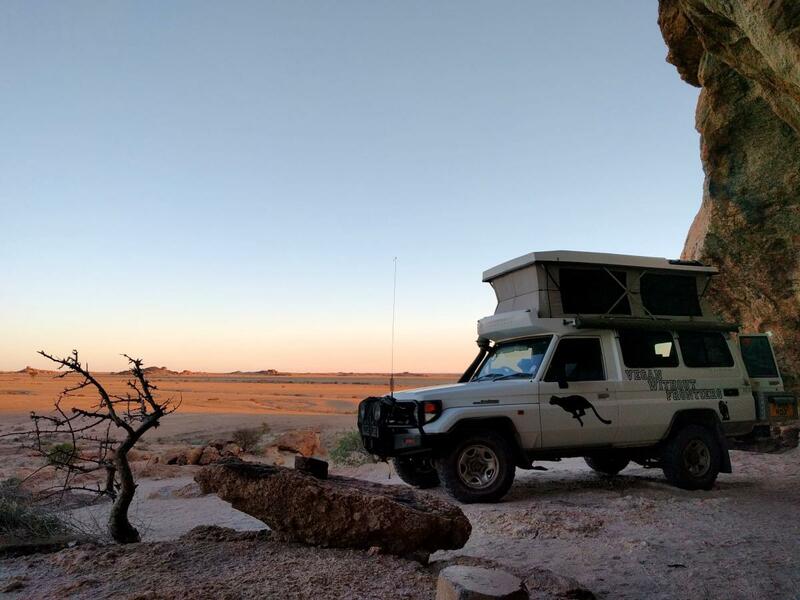 The maps were a little vague on the subject of exactly where we were to find what we were looking for, but Katana’s usual navigational magic worked again and we rolled up to the Dinosaur’s Tracks campsite in time for tea. Our host told us all about the dinosaur’s tracks and the history (short term and geological) of the place, whilst firing up the hot water. We were again the only people on the camp site, and enjoyed another special evening in the bush…aware that these were coming to an end so soon and making the most of them. In the morning, we walked to the tracks – 190 million years ago some dinosaurs walked through the muddy remains of a pool, which was then covered by the encroaching sand as the climate dried out. Just like the pans and dunes of the present day Namib desert. 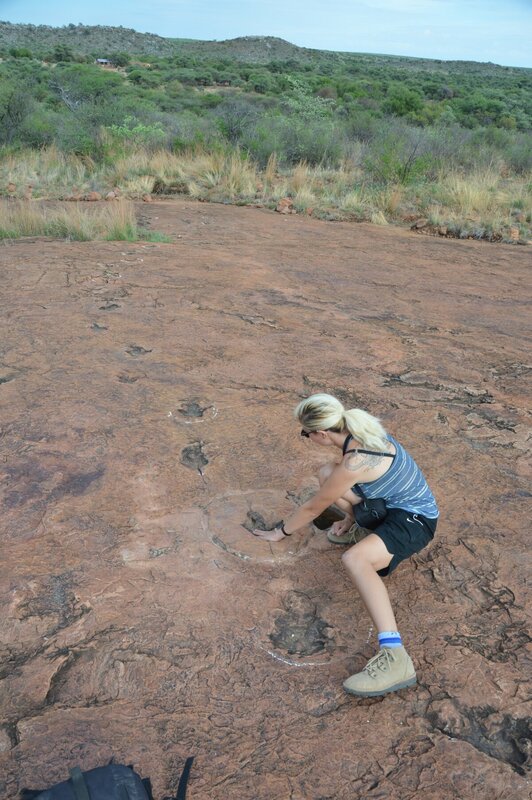 Perhaps we should have left some footprints while we were there for whatever species there is to find in another 200 million years? But we had to move on – when we first looked at what to see in Namibia, Katana was keen to check out the work of other artists in the area. At Phillipps Caves, there are some impressive examples of 3500 year old rock paintings. We followed the roads marked on our maps into the mountains, and they were rough and stony tracks, until they stopped. It seems that someone has drawn a road through the mountains from their imagination, since it has never existed in reality. There was plenty of wildlife and scenery to make the detour entertaining though, and we were in no particular hurry. Again we considered camping early, having driven off the track into a fold of the hills, but again it was just a bit too early and we headed on. 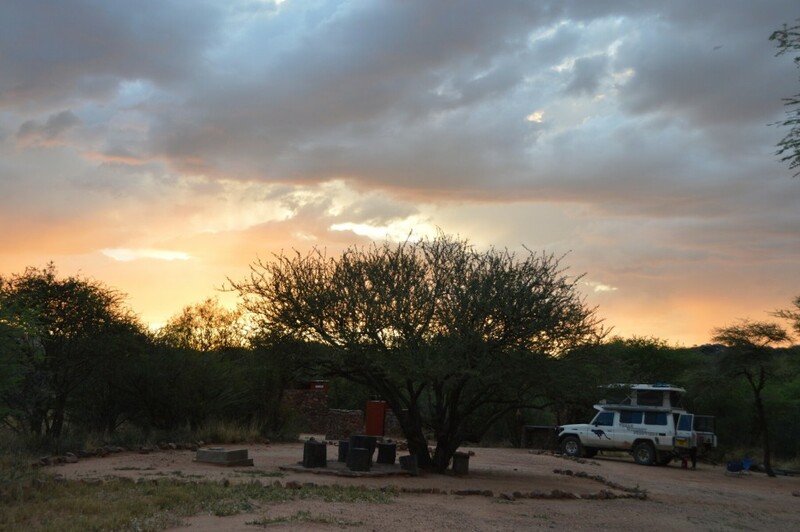 This was to be our last night in the wild areas of Namibia, and we spent it at the Ameib Ranch campsite – a wildlife reserve which also provides access to Phillipps Cave, and a swimming pool for our private use since there were no other guests. This was not a bad way to sign off! In the morning we visited the cave and admired the rock art – Katana making the hike/climb without too much trouble to her injured leg. 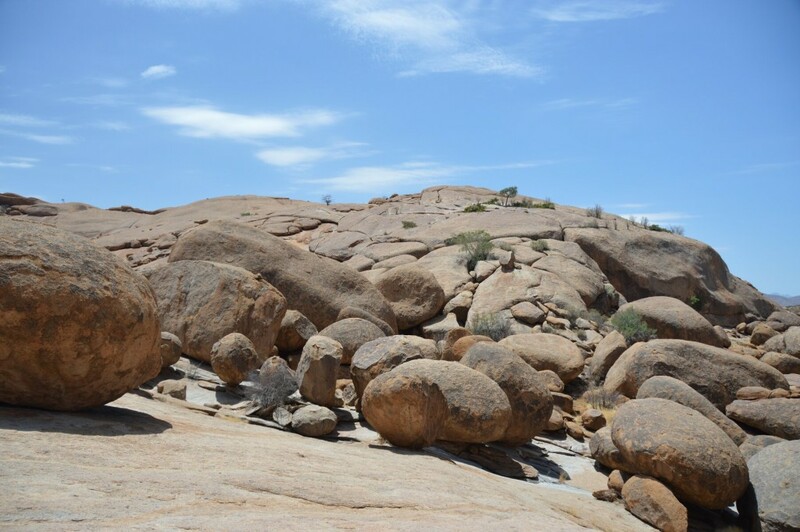 After some lunch at the strange rock formations called ‘Bulls Party’ and ‘Elephant Head’, we turned towards Windhoek and began our journey home. 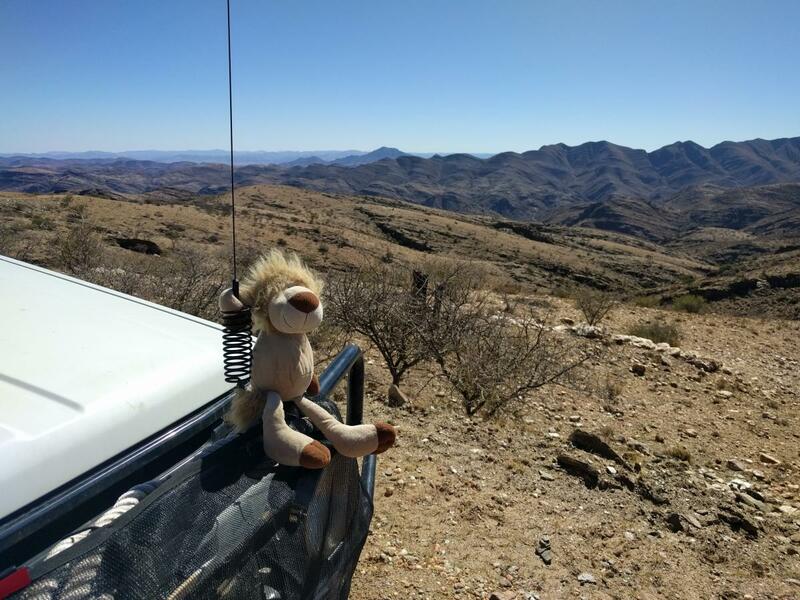 OK, we spent a few days in Windhoek before flying out, but it was all about preparing Troopy for storage and ourselves for the cold weather of Europe. Whilst in Windhoek, we had intended to go to an Ethiopian restaurant we had heard good things about – already pining for the tastes from earlier in the trip – but it turned out to be permanently closed. Home cooking in Troopy was a good solution anyway – after a second lunchtime visit to La Marmite Royale for some African specialities. So we tidied and cleaned, threw away worn out clothes, agreed to come back in the Spring and then headed for the airport, leaving Troopy behind. I hope he doesn’t mind too much.